The countdown has begun! Less than 3 weeks until the big day…. Thanksgiving!!! 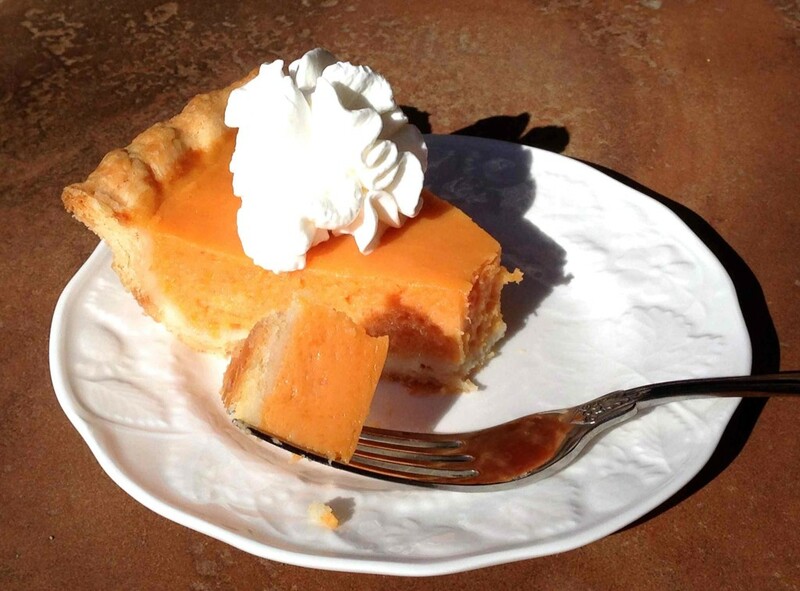 If you’re looking for a good pie recipe and are sick of pumpkin pie, a sweet potato pie may be just what you need! 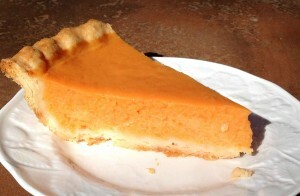 Not only is this a wonderful recipe, it has a humorous story behind it. It was in the late 1960s, and my mom was still in high school when she made two of these sweet potato pies for Thanksgiving. As the story goes, Nila had just made homemade cornbread, and accidentally set it down to cool on a hot burner. Unfortunately the stovetop burner was the electric kind, and was still extremely hot from what she had been cooking earlier. You can guess what happened next…. the cornbread, which was in a glass pyrex pan EXPLODED due to the heat, and there were shards of glass all over the kitchen and on top of mom’s two sweet potato pies!!! Mom and Poppy had already given Nila grief for not coming to church with them, and said it was payback for skipping. Haha! 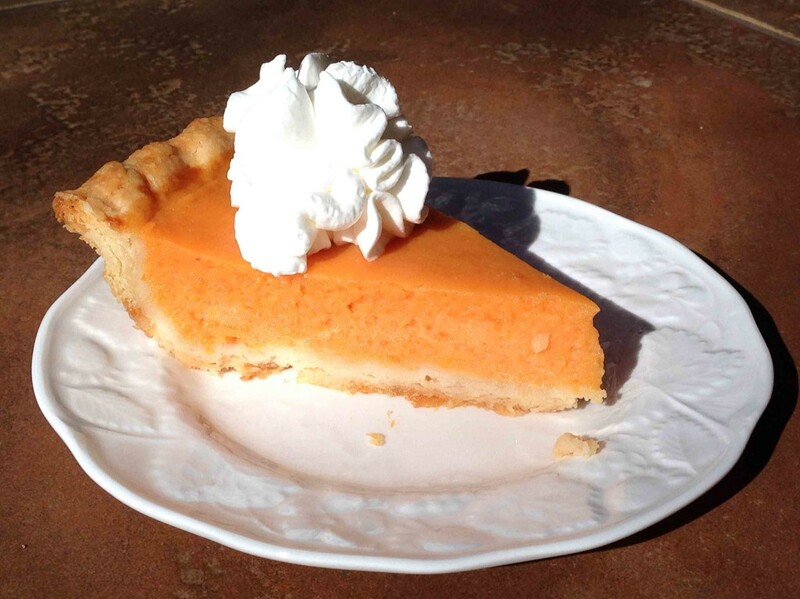 Mom can’t remember if she ate a piece of pie or not, and while Poppy definitely didn’t eat a piece, Nila said “I’m not going to throw away two perfectly good sweet potato pies.” She scraped the top of the pie off with the pyrex glass shards, and thoroughly enjoyed her piece of pie that Thanksgiving!!! In a large bowl, add butter, salt and sugar to the cooked sweet potatoes. Add milk, eggs and vanilla. Bake for 45 minutes. Let cool completely before serving. Garnish with a dollop of cool whip, if desired.